Written and Directed by Charlie Steeds. Starring Kate Davies-Speak, Barrington De La Roche, David Lenik, Joe Street, and Toby Wynn-Davis. In the British countryside, the Harver family head out on an idyllic summer camping trip where they can bury past tensions and enjoy some family bonding. But when their camp is sabotaged by an unseen intruder in the night, they head to the nearby creepy old farm desperate for help, where vengeful farmer Hunt Hansen and his hideously deformed son aren’t farming animals… Caged and waiting for their limbs to be severed, cooked and eaten one at a time, the Harver family must overcome their differences and unite in order to escape alive! I should begin by saying that, despite filmmakers’ penchant for mindless violence and noisy jump scares, horror movies have the potential to be nuanced works of art that deliver a message along with their terror. Take for example 2014’s The Babadook, whose monster acted as a metaphor for grief, or 1974’s The Texas Chain Saw Massacre, which juxtaposed the violence of the Sawyers with the violence perpetrated by slaughterhouses to promote a vegetarian agenda. Both of these films are considered as two of the better horror films ever made, and with good reason. Like any other genre, the best films tend to be those that seamlessly weave a sense of meaningfulness into their narratives. Judging by its title alone, I did not expect Cannibal Farm to fall into the category of meaningful horror. Yet, as the old adage says, you shouldn’t judge a book by its cover (nor should you judge a movie by its title, it seems). Like The Texas Chain Saw Massacre before it, Cannibal Farm attempts to stand up for the rights of animals, by likewise juxtaposing the cruelty of the meat industry to the sadistic nature of Hansen family. 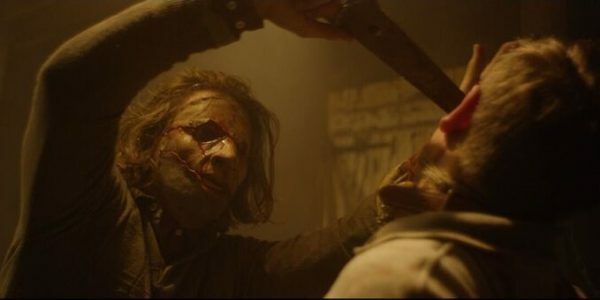 However, unlike The Texas Chain Saw Massacre, the film tries too hard and too brutishly to force its moral message into the fabric of the story. For instance, in one scene, while talking around the camp fire, boyfriend Kurt (Joe Street) decides to tell step-dad Wesley (Toby Wynn-Davis) about the dangers of eating meat. This scene would be forgiven if it served some thematic point as well as a moral one, but it doesn’t; it is simply as an opportunity for the writer to preach to the audience. I’d be more sympathetic to this obtuseness if the film offered a little more in the way of artistic intention, but it simply doesn’t. Although the introduction shows promise, it shows promise for a very different film from the one that later unfolds. Despite becoming a fairly straightforward splatter-fest, the opening scene implies that the film is going to be closer to a tragedy than a horror. The lighting, music, and content all point towards a narrative that revolves around a man’s struggle living with a disfigured son, not one that revolves around that man slaughtering people and selling their meat. On a more positive note, the shallower side of the film – namely is gore driven second half – is entertaining. The are some grotesque practical effects, and the pacing after act one is reasonable. The performances on the whole are somewhere between passable and good, though there are some really spectacular moments of over-acting in the film’s truly heated moments. 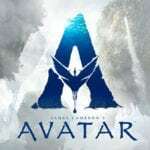 There are also enough twists and turns in the films plot to stop its simple premise leading to a derivative story, though they do leave behind some glaring plot-holes. 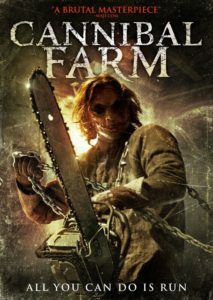 Cannibal Farm attempts to capture the essence of The Texas Chain Saw Massacre, as well as its pro-vegetarian message. However, it fails to do both. What is left is a mere carcass: bloody, and not without its place in the world, but lacking any real substance or value.